The splashdown at 7:44 p.m. EST Tuesday (0044 GMT Wednesday) concluded SpaceX’s fifth operational resupply flight to the space station — and the sixth Dragon mission to the complex including a 2012 demonstration flight. The spaceship’s return to Earth occurred about two hours before sunset at the splashdown site about 260 miles southwest of Long Beach, California. 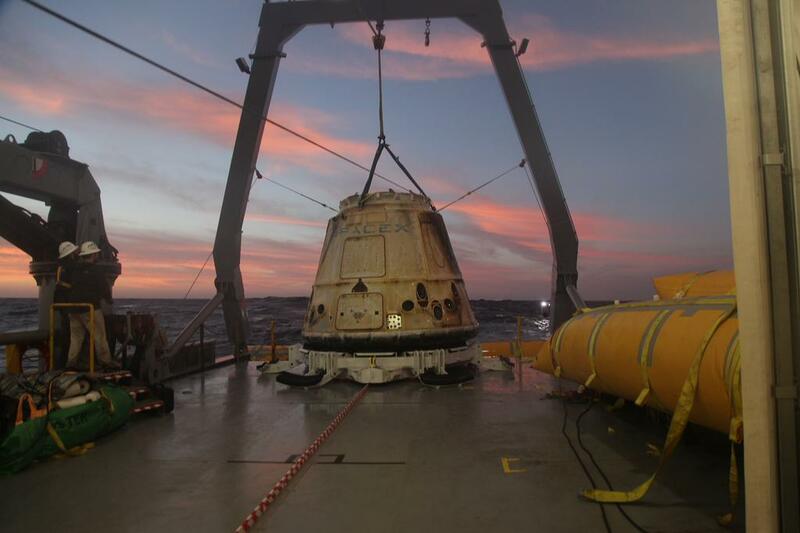 The recovery of the capsule by SpaceX engineers on boats in the Pacific Ocean was expected to continue after nightfall, marking the first time the cargo craft has splashed down in the evening. 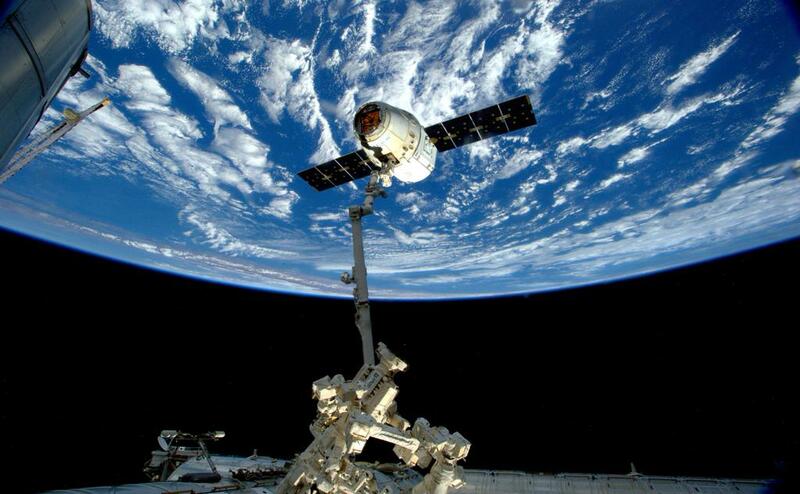 The Dragon spacecraft is the only vehicle capable of returning to Earth with a significant cargo load. Russia’s Soyuz ferry craft lands with limited cargo when it returns with space station crew members, and other logistics vehicles burn up in Earth’s atmosphere to dispose of trash that would otherwise congest the lab’s interior. Gear packed inside the capsule’s pressurized module include refrigerated blood and urine samples to help researchers study how spaceflight affects the human body, parts produced by an experimental 3D printer on the space station, and specimens from other biology and biotechnology studies, physical science experiments and education activities sponsored by NASA and the Center for the Advancement of Science in Space. 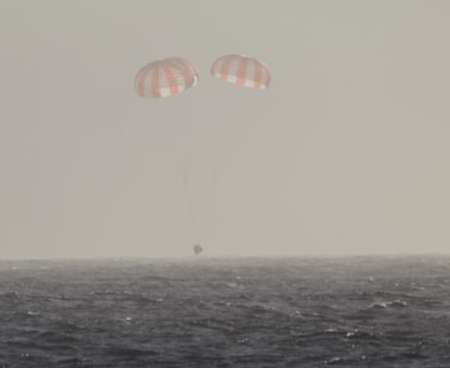 The SpaceX supply ship also brought back experiments developed by secondary school students and reflown on the Dragon flight after the investigations were destroyed in an explosive launch failure of an Antares cargo rocket in October. Some items packed inside the Dragon’s pressurized module will be repaired or refurbished for launch again, including a spacesuit with a problem with its fan motor that will be returned for analysis by engineers. NASA wants to study the issue before sending astronauts outside the space station later in February for a series of spacewalks to help configure the complex for dockings of new commercial crew spaceships built by SpaceX and Boeing. 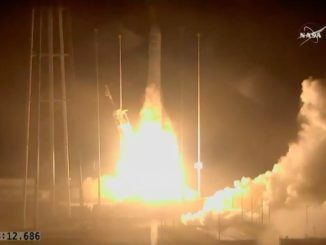 The Dragon spacecraft blasted off Jan. 10 from Cape Canaveral on a Falcon 9 rocket, reaching the space station two days later for an automated laser-guided rendezvous. It was snared by the space station’s robotic arm and bolted to the lab’s Harmony module for 29 days. Astronauts unpacked food, experiments and provisions, and the station’s robotics systems removed a NASA Earth science instrument from Dragon’s unpressurized trunk to measure aerosols in the Earth’s atmosphere from space. 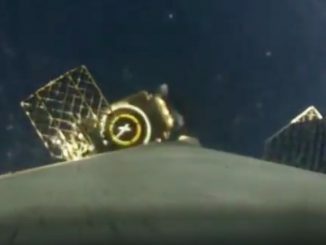 After stowing items tagged for return to Earth, the station crew closed hatches between the complex and the SpaceX supply ship Monday. European Space Agency astronaut Samantha Cristoforetti released the Dragon capsule from the outpost’s 58-foot robot arm at 2:10 p.m. EST (1910 GMT) Tuesday, and the spacecraft performed three rocket burns to fly a safe distance from the space station. Dragon’s navigation bay door closed later Tuesday, setting the stage for a 10-minute de-orbit burn beginning at 6:49 p.m. EST (2349 GMT). The capsule plunged back into the atmosphere a few minutes later, encountering temperatures near 3,000 degrees Fahrenheit as it streaked from southwest to northeast over the equatorial Pacific Ocean. It deployed three 116-foot-diameter main parachutes to slow down before splashdown. SpaceX will return the capsule to Long Beach later this week, then begin handing over its contents to NASA for distribution to engineers and scientists around the world. 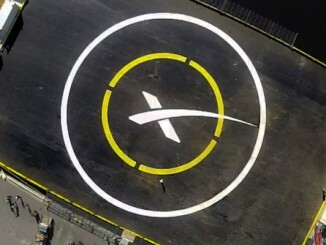 The capsule will eventually be trucked to SpaceX’s test facility in Central Texas for post-flight processing.